On December 31, the New Hampshire Department of Environmental Services (NHDES) initiated rulemaking to establish more stringent standards regarding maximum contaminate levels and ambient groundwater quality standards for four per- and polyfluoroalkyl substances (PFAS): perfluorooctanoic acid, perfluorooctanesulfonic acid, perfluorononanoic acid and perfluorohexanesulfonic acid. The department said the proposed standards are meant to "ensure greater protection of public health related to the consumption of drinking water," but a document filed by a prominent manufacturer, held financially responsible for contaminants discovered near its old site, voiced concerns regarding the financial toll of such standards on business operations for a broad swatch of industry. 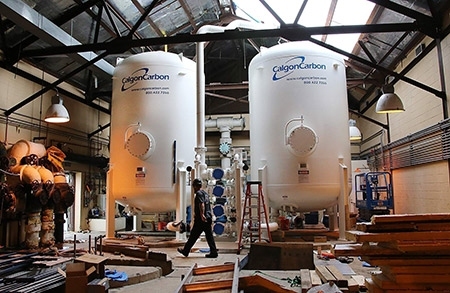 "These costs will impact both businesses and residents of the state," wrote John Tippett, CEO of Textiles Coated International, a manufacturer of glass fiber fabrics and polymer films that received a $5 million, low-interest loan approved by the Executive Council to finance expansion of municipal waterlines to approximately 100 properties in Amherst that tested positive for elevated levels of PFAS. "The cost increases are likely to be significant," continued Tippett, who said the additional costs could impact automotive repair shops and junkyards, metal processors, sealant producers, car washes and companies with fabricated fluropolymer products and processes. NHDES has filed a request for a fiscal impact statement for the new maximum contaminant levels with the New Hampshire Legislative Budget Assistant. NHDES is proposing the following drinking water standards that are protective of the most sensitive populations over a lifetime (see table). These maximum contaminant levels are drinking water quality standards that non-transient public water systems (water systems serving the same 25 people at least 60 days a year) must comply with. An ambient groundwater quality standard is used to require remedial action and the provision of alternative drinking water at a contaminated site. It also dictates the conditions under which treated and untreated wastewater may be discharged to groundwater. In 2016, NHDES adopted EPA’s health advisory for PFOA and PFOS as an AGQS ( 70 parts per trillion (ppt) combined). To establish MCLs for PFOA, PFOS, PFHxS and PFNA, which by law then become AGQSs, NHDES had to also address the extent to which the contaminant is found in New Hampshire, the ability to detect the contaminant in public water systems, the ability to remove the contaminant from drinking water, and the costs and benefits to affected parties that will result from establishing the standard, and then develop a MCL for each compound that is protective of the most sensitive population at all life stages. Public hearings on the proposed MCLs will occur in southern New Hampshire, at Pease Tradeport, and at the NHDES offices in Concord in early March, which will provide the public more than a month to review the proposal and companion report. Depending on the comments received, it is anticipated that the final proposals will be filed by summer. The effective date of the new rules has yet to be determined.